The first time I went to Los Gatos was when my friend and I rushed to the Michelin-rated Manresa to enjoy their “Bar Bites” menu before heading to catch our flight out of the San Jose Airport. As we drove into the town on our single-minded mission, I made a mental note of how adorable the town of Los Gatos looked and how I wanted to go back. And I finally did! In between events in San Francisco, I headed south to Redwood Shores (20 minutes north of Palo Alto) to visit friends. 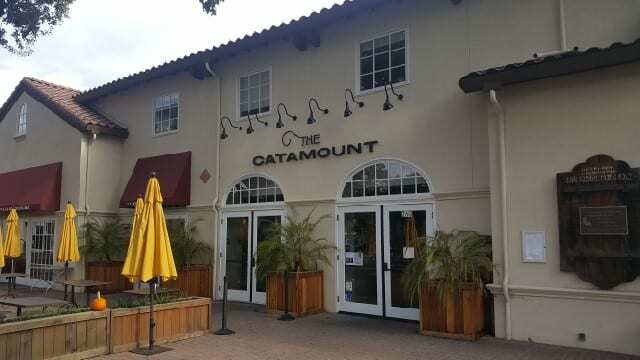 When I was invited to check out The Catamount, I thought it was a perfect chance to return to Los Gatos. Little did I know that Los Gatos is a good 45 minute drive from Redwood Shores but thankfully my friend was a good sport and willing to drive. We entered the charming town of Los Gatos where the streets are lined with shops and pulled into the lot where The Catamount is located. The age old question is what came first, the chicken or the egg? Will we ever really know the answer? Do you care? After all, they both taste good and that is what matters. And you can choose both at Playa Vista’s The Chicken or The Egg. The Chicken or The Egg is a bright, welcoming space. 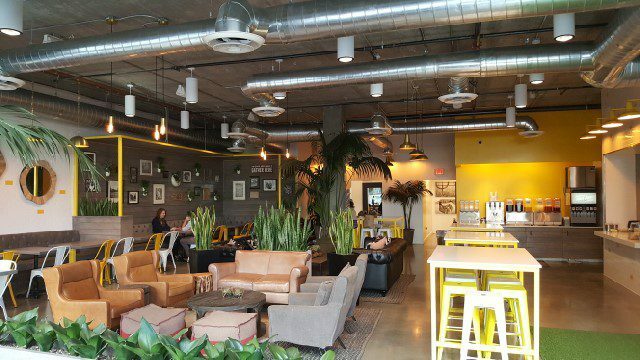 With canary yellow walls and fresh greenery, it is hard not to smile when you walk inside.